Do you see Liverpool as genuine title contenders? I think Liverpool are the most likely team to push Manchester City for the Premier League. They’ve made a big improvement to the team with their signings this summer, while they’ve also got a settled manager with great harmony with the squad. However, I don’t think Liverpool will have enough to win the Premier League because the gap to Manchester City is too big to close in one transfer window. Manchester City will win the Premier League and I think they’ll win it comfortably. They’re confident, they’ve got a winning formula under [Pep] Guardiola, they’ve improved their personnel from last year, and they’ve started this season like a freight train. I think Liverpool are the best of the rest. You look at Chelsea and Arsenal who are starting fresh with new managers and that will take time so there’s a question mark regarding those two teams. Tottenham won’t compete for the title because of their lack of investment and they have the stadium move to deal with. I think Liverpool will likely finish second behind Manchester City. Liverpool have spent a lot of money this summer. Is there now pressure to win a trophy this season? There will be pressure on Liverpool and [Jurgen] Klopp to win trophies this year because the owners have made a big investment and they want to see their returns. Fans are also very excited by this squad and see this as a great opportunity. Klopp will be very motivated to win that first trophy because it takes the pressure off and Liverpool’s history is all about winning silverware. Klopp expects and demands silverware for himself, that pressure is more than he will get from the owners. Is it all about trophies for Liverpool this season? It’s not all about trophies for Liverpool and it’s important not to become obsessed with an idea that it’s silverware or bust. Liverpool have been very close to winning trophies under Klopp and though it could be seen as a concern that they haven’t got over the line yet, it’s also a sign as to how close the club is to reaching the peak again. Liverpool need to show progress from last year and they need to show they’ve improved in key areas in the Premier League, as well as be competitive for every trophy. They need to show they can break down teams who come to Anfield looking to park the bus and they need to have that ruthlessness to beat teams they’re expected to beat. That’s the only way Liverpool can expect to close the gap on Manchester City and finish above the likes of Manchester United. Where do you think Liverpool need to strengthen to close the gap on Manchester City? I think Liverpool had an incredible transfer window to close the gap on Manchester City and overtake their rivals. They spotted areas to improve and they broke the bank to sign world-class players rather than looking for quick fixes. [Naby] Keita and Fabinho will prove to be very good signings for Liverpool. They add some steel and guile to the midfield. [Xherdan] Shaqiri was also an important signing to give the squad some depth and he’ll be an interesting option on the bench. They’ve added a world-class goalkeeper in Alisson that they’ve been needing for years. The only area I can see that needs significant improvement is the central defensive partner for [Virgil] van Dijk because I’m not sure if [Dejan] Lovren can maintain his World Cup form. What do you think to the decision to sign Alisson for what was then a world-record fee for a goalkeeper? Everybody in football knew that Liverpool needed a goalkeeper and the club paid the price for that this summer. No matter who Liverpool signed, they were going to have to pay a premium and an exaggerated fee due to their desperate need for a goalkeeper. There’s an expectancy that comes with big-money signings and I’m interested to see if Alisson can replicate the form he had for Roma in that environment. He is a very good goalkeeper and he’s very commanding, but there’s a pressure at Anfield that he wouldn’t have had while playing for Roma. The Premier League is very different from the Serie A too, but he looks like an excellent signing and exactly what Liverpool needed. Who do you think will be Liverpool’s best signing this summer? Keita will be the Premier League’s best signing this summer. Liverpool will expect a lot from him and I’m expecting him to take them to next level. He’s a very dynamic player, very powerful and very quick. You can see the obvious potential he has got and the fans will be looking to him to dictate the midfield. Keita’s challenge will come when he plays against Liverpool’s rivals in the Premier League. I’m looking forward to seeing how he does fighting against the likes of [Paul] Pogba, [N’Golo] Kante and Fernandinho and finding out if he has the ability to match those players in those games. I hope he has the mentality to carry that burden of expectation. How impressed have you been with Joe Gomez? I’m very impressed with Joe Gomez and I think he will become a good central defender. I thought he got isolated at full-back and though he’s quicker and stronger, he doesn’t have [Trent] Alexander-Arnold’s technical ability. Steve Holland (assistant manager of England) loves Joe Gomez and we’ve discussed the potential the boy has. 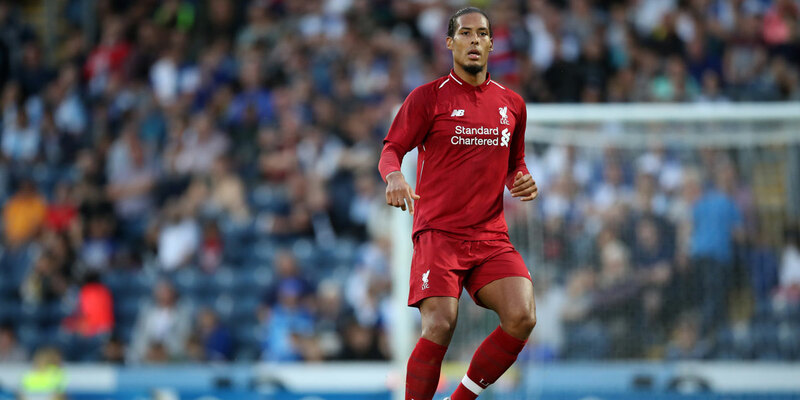 I think over the course of the season he can show he is comfortable next to van Dijk at that level. He looked very assured until he suffered that injury. Are Liverpool over-reliant on Salah, Firmino and Mane for goals? Liverpool will never struggle to score goals while they’ve got [Mohamed] Salah, [Roberto] Firmino and [Sadio] Mane. 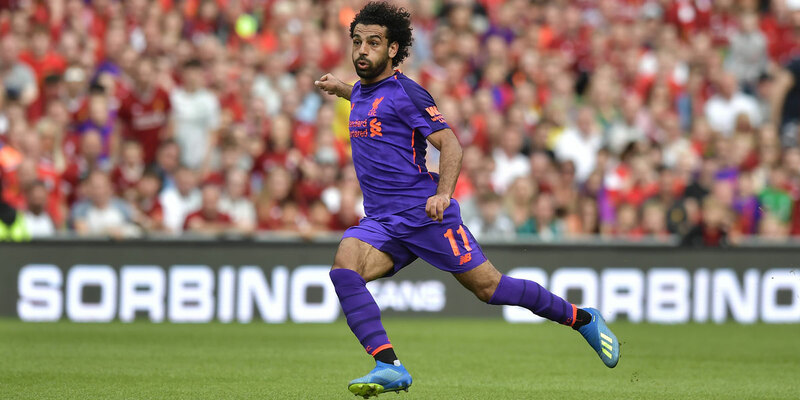 Salah will find it more difficult this year because teams will have studied him and defenders will double up, but he will still score at least 20 goals in the Premier League this season. I think Shaqiri will also take the goalscoring burden. We’ve seen his ability many times in the Premier League and we saw it again on the biggest stage of them all at the World Cup. I’ve got no doubt he will score goals and he’ll share the responsibility with the three key men. Shaqiri will solve many a headache this season if Salah, Firmino or Mane were to ever get injured this season. I think a huge bonus for Liverpool will prove to be Daniel Sturridge. He is probably the best striker sitting on the bench in the Premier League and he will be an unbelievable weapon, if Liverpool can keep him fit. He’s a lethal goalscorer and he will score at least 10 goals in the league this season, if he’s happy to be a squad player and contribute whenever he’s called upon. He has immense ability and can create goals out of nothing and score from anywhere. He’s a natural finisher. What do you think will be Mauricio Pochettino’s target for this season? I think Pochettino has exceeded all expectations at Tottenham by establishing them as a top-four club that competes in the Champions League. He has developed the club and so many of the players to the extent that trophies will soon be expected and fans are looking at them to break the monopoly of the big spending clubs. Hopefully they can do that this season. What do you think to Tottenham’s lack of transfer activity this summer? I think Tottenham should have invested in the summer to improve their squad and create competition for places. If Tottenham are serious about competing with Manchester City for the Premier League then they need to sign new players. Tottenham should have looked to sign a [Wilfried] Zaha or a [Anthony] Martial, that calibre of player who has got pace and the ability to beat defenders. However, there’s now an opportunity for Lucas Moura to fulfil his potential and become the player he’s long been tipped to become. The important thing for Tottenham was keeping the likes of [Harry] Kane, [Dele] Alli, [Christian] Eriksen and [Toby] Alderweireld at the club and they achieved that. What do you think to the criticism Tottenham have received for not spending this summer? People will question the lack of investment, but they also need to remember that the likes of Dele Alli only flourished because they were afforded such long opportunities in the side at the expense of always trying to break the bank on superstars. If [Marcus] Rashford was at Tottenham and he had showed such potential, he would be playing every week and he would have improved so much. Instead, [Jose] Mourinho went out and got [Alexis] Sanchez and Rashford’s opportunities are even more limited. That’s a prime example of the difference in mentality between Tottenham and a Manchester United. 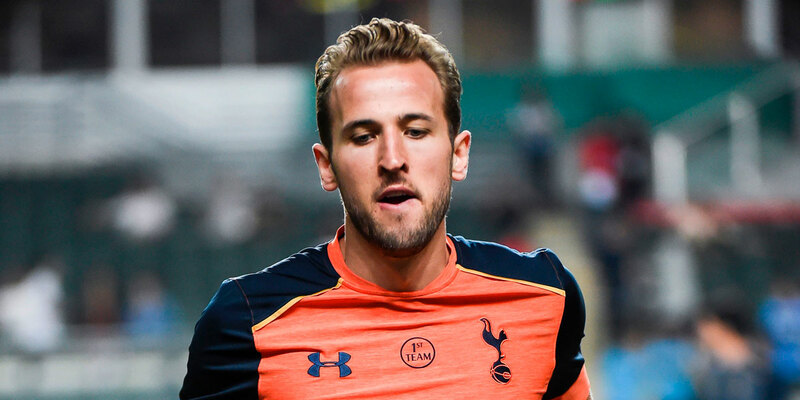 How can Tottenham look to improve their squad? It’s very difficult for Tottenham to improve on what they already have. To improve on the players they have, it would cost a lot of money and they’d also be competing against rival clubs who can afford to pay a lot more. Chelsea have just splashed out on Jorginho, but he wouldn’t get in Tottenham’s team ahead of [Mousa] Dembele. Liverpool have spent the money on Fabinho, but I’m not convinced he’s better than Dembele either. It’s near impossible to find world-class players who aren’t on the radar of the other big teams but who would be happy to sit on the bench to improve the squad at Tottenham. I don’t think Tottenham get enough credit for the signings that they do make. Davinson Sanchez was an incredible buy and he will only get better. He was one of the best defenders at the World Cup this summer. Manchester United are having problems at central defender and they will be kicking themselves they signed [Victor] Lindelof while Tottenham got Sanchez last summer. I think he would be in ahead of Lovren at Liverpool as well. Tottenham got him and they haven’t got the credit for it. Do Tottenham need to win trophies if they’re to keep the likes of Kane and Eriksen? There is a pressure for Tottenham to win trophies if they’re to keep the likes of Kane and Eriksen for the long term. All the best players want to win silverware, play at the biggest clubs and play on the biggest stages. Liverpool are in a very similar position of needing to win trophies if they’re to keep the likes of Salah, Mane and Firmino. People talk as though Tottenham and Liverpool winning trophies should be a formality if they show the ambition and spend the money, but there’s very few trophies around and they’re competing with clubs who spend a lot more and who have done so for a very long time. How big was it for Tottenham to keep Alderweireld? It would have been a huge problem for Tottenham if they had lost Alderweireld in the summer. It’s a massive bonus that they managed to keep him from joining a rival club because he’s one of the best defenders in the Premier League. 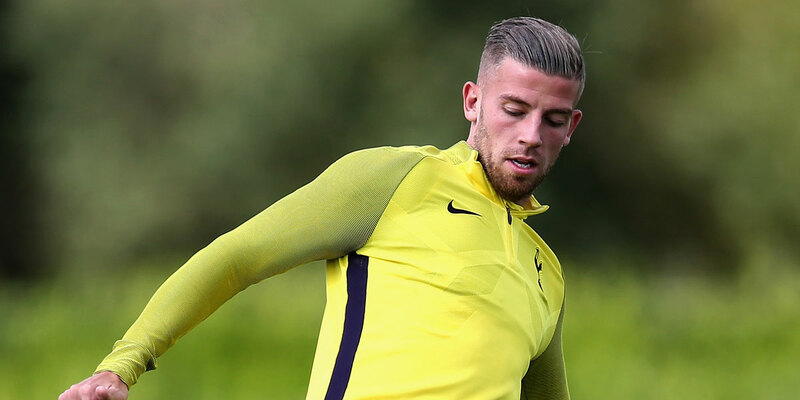 Tottenham are now in a strong position because Alderweireld will be motivated to have a good season. He has to play very well to convince Tottenham to break their pay structure on a new contract and he needs to play very well if he is to earn a move to the European heavyweight club he wants. Either way, it’s a huge plus for Tottenham. Are you surprised Tottenham were looking at Jack Grealish? Tottenham would have scouted Jack Grealish for a long time and clearly saw something there that they liked. However, if they wanted him that badly then they would have bought him, but they weren’t prepared to pay what Aston Villa felt he was worth. Tottenham shouldn’t be looking to pay over the odds for young, English squad players because they don’t need them. I don’t think Grealish is good enough to get the minutes at Tottenham and [Ryan] Sessegnon would have more of an opportunity. Tottenham probably looked at Sessegnon and decided it was worth him getting a year in the Premier League at Fulham then maybe make a move to sign him next summer if he impresses. What will Fulham’s goal be? Would the club be happy with just surviving after such a spending spree? Fulham would bite your hands off if they were offered Premier League survival. They may have spent a lot of money, but the ambition of any promoted club should be simply to survive. I think it’s naive to want more than survival. Fulham needed to make signings and they have splashed the cash, but that doesn’t guarantee you’ll stay up and doesn’t give you the right to assume you’ll finish higher either. It’s very competitive in the Premier League and they needed to spend money to have a chance. I still think it’s going to be very tough for Fulham to stay up. Is it a risk for Fulham to spend so much money in the world of Financial Fair Play? 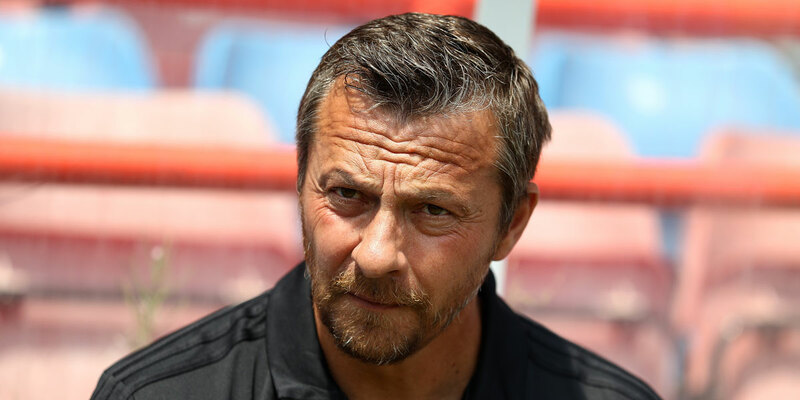 Fulham may have become the first promoted club to spend £100m, but it isn’t a Financial Fair Play risk even if the club were to be relegated this season. It’s the TV revenue they’ve spent rather than their own money. There’ll be relegation clauses in the new signings’ contracts and they’ll receive parachute payments so it’s a calculated risk because the revenue is guaranteed. I’m surprised more clubs haven’t made the same choice to splash the cash. I thought more clubs in and around the bottom would have spent towards £100m as well because they should all be able to afford it now. Fulham are doing well, they’re back on track and are heading in the right direction. They have nothing to worry about financially. Arsenal were reportedly linked with Seri before he chose Fulham. How good do you think that signing is? Fulham have potentially pulled off a massive coup signing [Jean Michael] Seri ahead of the likes of Arsenal. He has looked like a very promising midfield player and Fulham were able to jump in while the bigger clubs hesitated. It’s a good platform for him to be playing in the Premier League and he could do very well. The only risk is to see how he settles in England because Fulham will need him to hit the ground running if he’s to be the talisman signing that keeps them in the Premier League. 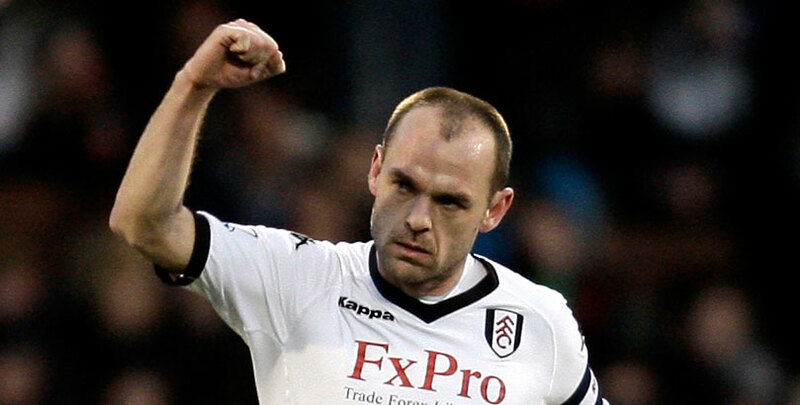 Do you think Mawson and Chambers will be solid enough to keep Fulham in the Premier League? I think [Alfie] Mawson is a very good buy for Fulham. I think he’s developed very well and has a nice mix of defensive steel while still being able to play out from the back. He’s had a couple of seasons in the Premier League now where he has played practically every game and has learned a lot. I’m not convinced by [Calum] Chambers and I don’t think it’s a coincidence he’s been on the bench at every club he’s been at. I don’t think he has the pace to play in defence in the Premier League, but I hope he proves me wrong. Aleksandar Mitrovic has struggled before in the Premier League but was very effective at Fulham last season. What did you think to this signing? Fulham will be looking to Mitrovic’s goals to keep them up in the Premier League. I think the club has paid over the odds for him because the jury is out at this level, but he deserved the opportunity to come back to the club and prove if he can do it in the Premier League after scoring the goals to get them promoted last season. Mitrovic has a manager who clearly believes in him and the club will play to his strengths. He plays with a steely determination and he has a fire in his belly so I’m looking forward to finding out what he’s capable of this season. Hopefully he can score the goals to keep them up and he’s had a lively start. What’s on the horizon for Ryan Sessegnon this season? I think there’s no doubt Ryan Sessegnon has the potential to become a Premier League star. He has a lot of talent and variation in his make-up to be a very top player, but his immediate priority should be playing as many minutes as possible and adapting to the Premier League. He has shown a lot of maturity to play in the Championship and score the goals that he has already in his career. He deserves great credit for that, but I don’t think Sessegnon should be thinking about trying to break into the England squad because he’s still so young.